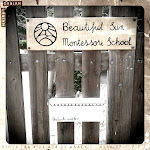 Beautiful Sun Montessori: Calling all schools! Anyone interested in a mailing exchange with us? Calling all schools! Anyone interested in a mailing exchange with us? Since we live in a geographically isolated location (on a rock in the middle of the ocean) we are constantly trying to find ways to make geography come alive in our classroom. A few years ago we did a cultural items exchange with one school from every continent around the globe. We exchanged boxes with several different schools and it was great fun putting together our packages and taking a field trip to the post office to mail them, AND THEN receiving the lovely packages from our friend schools around the world. If it is something that you would be interested in doing with us please comment below! I would love to participate in a mail exchange. I teach at a school in the State of Washington of the US. Hi I'm really interested. Tried commenting already but I'm not sure it went through! Hello! We are really interested (found this post late though), we'ld love to exchange! Write me an emal, please) Greetings from Ukraine! Hallo, Susanne! My name is Natalia. I am a teacher in Montessori School Gurenok. We are located in Russia (Moscow). When I saw your post about of mailing exchange, I thought "It is an excellent idea!" Thank you very much! We would like to join to your project! We can send to your school a lot of interesting authentic items from Russia or a set similar to yours. If you are still interested in it. All the best, Natalia Yankovskaya. P.S.Sorry for my bad English! This would be so cool to do! My class and I live in Sweden :) We are also a Montessori class. We'd love to exchange with you next year! Please email us and we can keep your school on file! We would love to exchange with you too! Next year! I will keep you on file for next August when we begin. Thank you! Sorry I got back to you so late! We found schools kind of quickly. But we'd love to exchange with you in the future! I will keep you in mind for next August! I am a primary assistant at a Public Charter Montessori in Northwest Arkansas, US. I would absolutely LOVE to do this next year (August 2017-May 2018). Even with other students in the US would be exciting for our class. I still have my pen pal letters from Korea and England from my elementary school days! Hi, if you do this again, it would be lovely to be involved. We are a Montessori preschool in Pretoria, South Africa. Postal services are quite bad here but maybe a e--mail / Skype exchange would be good?